A note from The HART. It’s true, at the age of 19, I created and founded a DJ company called Hart to Hart. With so many talented performers and a wonderful staff, we were more than an amazing interactive music and entertainment company. We set the standard, raised the bar, and revolutionized what is seen on dance floors and party celebrations around the country. After an amazing 15 year run, a little before 2000, I chose to go in another direction and decided to sell the company. However, still today, after so many years after my separation, I can understand why so many still think of me as Richie Hart of Hart to Hart. To be clear, Richie Hart is RICHIE HART EVENTS and the other Hart happens to be my beautiful wife—Debbie Hart of DEBBIE HART CELEBRATIONS (known as the industry's best-kept secret). Hart to Hart is still a great company, and they promise to wear my name well. Many other great companies in today’s party industry were also part of my original crew. There are so many DJ companies around the country doing what we proudly started in the early 1980s. I'm happy to see that they are all doing well and the party industry is on top of its game. As most do know, today—and for over a decade—we have been proudly reestablished as an award-winning, full-service event planning company called RICHIE HART EVENTS. 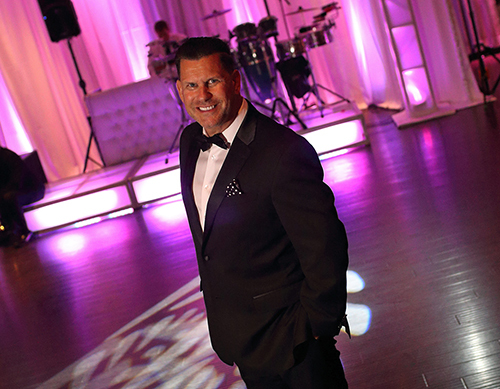 With 35 years of amazing life celebrations, I want to say “Thank You” to thousands of past and present clients for allowing me the opportunity to help make their events and celebrations extra special. I am delighted that, for almost four decades, I contributed and helped to create everlasting memories for so many. I will continue the RH tradition of excellence and promise to always serve you well, helping families and companies plan and celebrate wonderful milestones and events. The HART of the industry! We are RICHIE HART EVENTS.